Last week wasn’t a spectacular one for my fantasy surprises, but hopefully I’ll be able to bounce back with a full slate of games. With the fantasy regular season almost to a close, fantasy owners are now at an interesting point regarding the idea of injury stashes. For those wondering, an injury stash would be adding a player who had a long term injury (think Adrian Peterson) expecting to see the benefits if they do return. The only issue with this method can simply come down to how deep your respective fantasy team is. If you happen to have a very deep bench, it might not be worth cutting someone for a speculative add. The risk of exposing a player to waivers that could contribute to another team down the line could comeback to haunt you. QB: Eli Manning vs Browns: Don’t look now, but in his last five games Manning has thrown for 12 touchdowns. Granted his inconsistency has shown in that span as he also has thrown six interceptions. Despite that, he could be worth a look this week against a Browns secondary that has been reeling all year. Expect around 250 yards and two touchdowns. RB: Thomas Rawls vs Buccaneers: Rawls has had quite the season in fantasy circles. A top pick in many drafts despite rehabbing an injury all preseason, Rawls didn’t get much going to start 2016 before he ended up getting hurt again. Now C.J. Prosise seems to be out for the forseeable future and Rawls has a great matchup right away. If the Seahawks do build a lead against a vulnerable Buccaneers defense, that should only mean more carries for Rawls which is a huge plus for fantasy owners. Expect around 90 total yards and a touchdown. 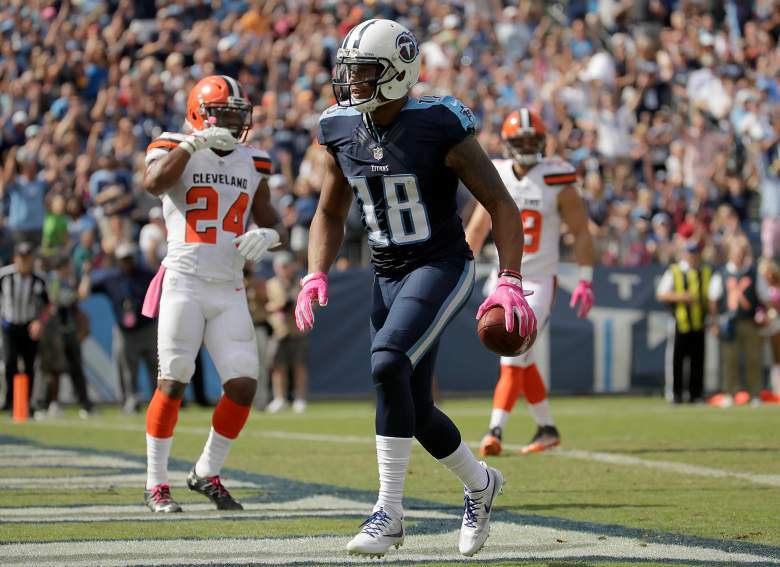 WR: Rishard Matthews vs Bears: The Titans offense in large part due to Marcus Mariota’s elevated play have been on a role lately. Matthews has been one of the main beneficiaries receiving double digit targets in two of his last three games, and has emerged as a key redzone threat. Now he faces a Bears secondary that is one of the more opportune secondaries from a fantasy players perspective. Play Matthews with confidence this week. Expect around 70 yards and a touchdown. TE: Kyle Rudolph vs Lions: Oddly enough despite struggling against opposing tight ends, Rudolph only caught one pass the last time these teams played. It was for a touchdown, but with Stefon Diggs out Rudolph should be a bigger part of the offense this time around. Don’t be surprised if he is one of the leading scorers at the tight end position this week. Expect around 60 yards and a touchdown. K: Dan Carpenter vs Jaguars: I mentioned in my predictions for this week that Tyrod Taylor is missing a lot of weapons at his disposal. As a result of this, it could lead to more opportunities for Carpenter. If you stream your kickers each week, you could do much worse in that regard. Expect around three field goals and two extra points. DEF: Dolphins vs 49ers: It took longer than expected, but the Dolphins defense has started living up to expectations. This matchup on paper seems to fair very well for them. The Dolphins will be running a ball control offense which should have plenty of success against a 49ers defense that has struggled to defend the run. On the other side, the 49ers run an uptempo attack and drives resulting in three and outs will only keep the Dolphins defense very fresh. Expect around three sacks and an interception. This entry was posted in fantasy football, NFL, sleepers and tagged 2016 week 12 fantasy football predictions, daily fantasy football advice, Dan Carpenter, Eli Manning, Fantasy football, Kyle Rudolph, Miami Dolphins, NFL, Rishard Matthews, Thomas Rawls. Bookmark the permalink.